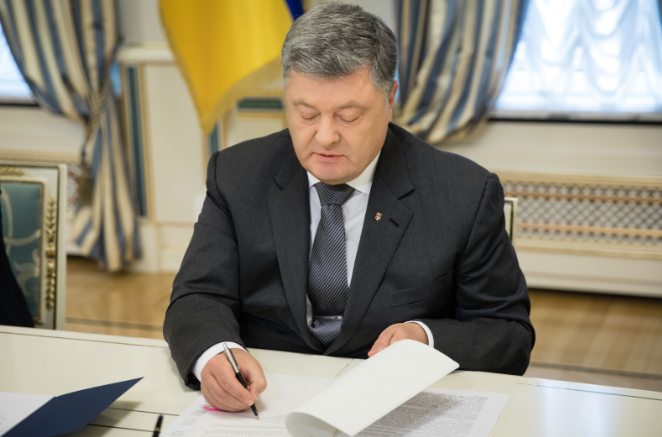 President of Ukraine Petro Poroshenko stated he signed the law on bankruptcies during his speech on April 15 broadcasted by 112 Ukraine. “Some good news. Today I have signed a law on bankruptcies. Despite the fact that we had some questions concerning the organization, I think that we will come up with an option at the level of regulations. We have the position of the Verkhovna Rada, the committee, and I am very thankful to the Government for its principled position. We keep our promises,” Poroshenko said. The Code consists of four books, the latter regulates the order of bankruptcy of the physical entities. The borrower who is in a difficult material situation can initiate its bankruptcy. The creditor can not afford that. Other circumstances which confirm that the debtor will not be able to perform his commitments in the nearest future. In this case, the debtor will receive a plan of restructuring the loan, if the compromise with the bank is not reached, the property of the obligor will be sold to cover the commitments. One can not recognize himself a bankrupt within five years since such decision was made. A person can not have perfect reputation within three years after he was recognized a bankrupt. Earlier, Ukraine’s Parliament adopted a Code on bankruptcy procedure in October last year by 237 votes of the MPs. According to the document, the physical entity can recognize himself a bankrupt.